Multi-use trail that included ATVs. 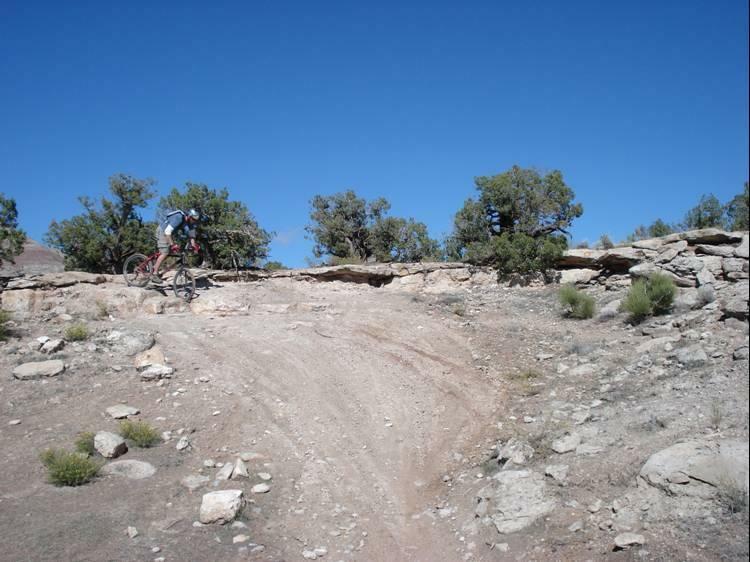 Trial is SANDY, and best ridden after rain; it is one of a few Fruita trails that is recommended to be ridden wet. Ride road (Kokopelli Trail) south from parking lot until you see signs for Trail #2. Many whoops and burms created by ATVs. Some rocky ascents and drops. 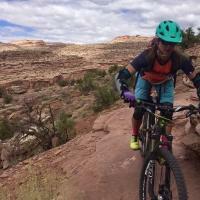 Trial ends at overlook of Colorado River just past Kokopelli Trail. You can stay left and hook up with Western Rim trail. Great downhills on the return. Review: Nice connector to the Western Rim trail. Fruita bike shop guy said best time to ride was right after a rain. It had poured at lunch and we rode. A few steep climbs had me walking a bit. Overall not bad. Review: Awesome fun going north (back toward the car)! Review: My fiancÃ© and I did this to connect to Western Rim out & back. We started at McDonald Parking lot, because we were a little short on time. It was 14 miles. We loved this combo, amazing views, good flow section's, some nice technical stuff too. The ride back was for sure the highlight! Fun, fast, flow, pump! Feb 13th couldn't have been a better day to ride! Review: Very fun single and double track trail. Mostly a rolling singletrack that isn't very technical. Biggest issue is dealing with all the sand. Hot, dry days probably aren't too much fun. Review: Nice variation if riding Kokopelli's. I ride this if I'm heading to the Western Rim. Has seen some motorized use. Best after rains. Review: I think that this is a fun way to access the Western Rim ride. There are a lot of whoops that makes the non-technical nature of the trail quite fun. Review: This is a fun ride. Proably not the best that Fruita has to offer, but I won't dis it. You can see some pretty cool rock formations from the trail and Rabbit Valley is cool, but overall it seems like the really great rides in the Fruita are in the 18 Road area. Trail #2 MTB Trail 4.00 out of 5 based on 8 ratings. 8 user reviews.